These pictures say it all. Sugar (adopted seven and a half years ago) is in the photo on the left and Sugar and Walter (adopted four years ago as a puppy) are together on the right. 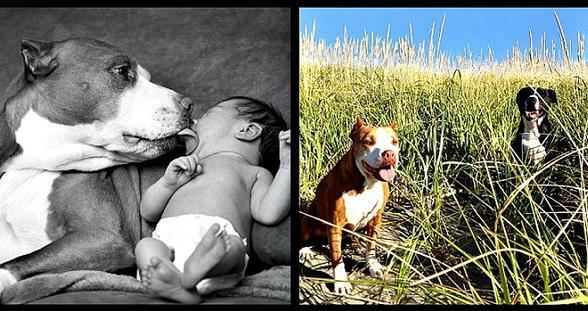 Both dogs get along very well with the baby in the picture – she’s now three years old.